If there are any Melbournian's reading this, I'll be at Animaga #24 in the Artist Alley this weekend with a print of the middle panel in this page! 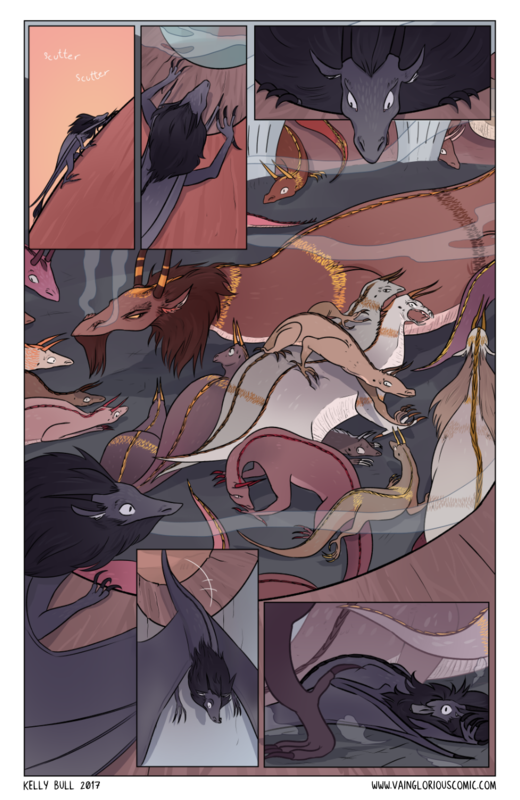 I really love how this page turned out (if you've been following me on twitter before this comic's launch, you might have seen me showcase this page since like, over a year ago. This art is way over a year old, and I still like it, how good is that). Anyway, I'm super excited to table at my first ever con this weekend. If I keep this up, one day you might see me tabling at a comic con in the States! Thank you for reading and see you Monday!